Trying to figure out what you want? It can sometimes be overwhelming to look through so many different options! With that in mind, we decided to make it easier for you to figure out which quality uniforms are best for your business. When you’re stuck—or just wondering what’s new and interesting in the uniform industry—check out Averill’s Top Picks. On this page, our owner, Averill Bromfield, chooses some of the latest, greatest, and most exciting items here at Sharper Uniforms. When you take Averill’s advice, you’ll be able to make some great choices for your restaurant or other hospitality business. Averill chooses his top picks personally. 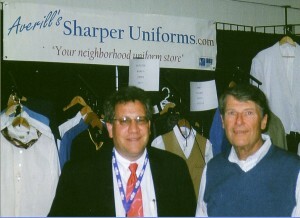 After all, Sharper Uniforms isn’t just a warehouse company. We wear, touch, and test the durability of our products. We also rely on our customers to report back to us when it comes to sizing, color, comfort, fit, and durability. Feel free to contact us about anything you purchase here at Sharper Uniforms! We rely on your feedback—and we want to hear it. Keep checking back to see what’s new and exciting in Averill’s Top Picks. When your staff looks good, they’ll feel good—and that’s sure to rub off on your customers!